Witte Wieven are authentic Eastern-Netherlands spirits of wise women and, together with wild boars, constitute the biggest threat in the Veluwe woods after sunset. 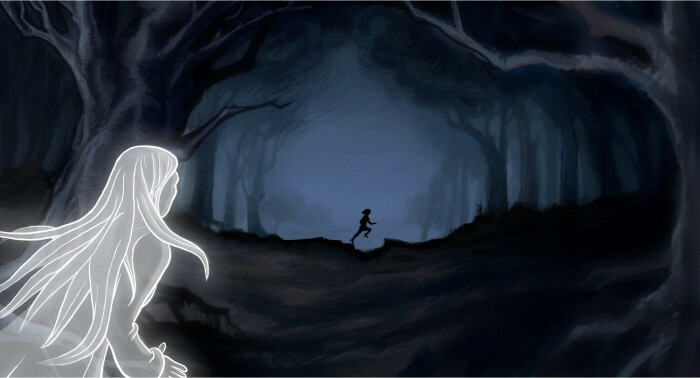 In this ultra-short animation film, the stunning titular heroine threatens to fall prey to Witte Wieven, when she decides to defy mythology and walk through the woods. Cheerfully, she enters the dark forest on little white mules, heading for her destiny.